All Article links on my facebook page https://www.facebook.com/astrodocanil/ , Google and Linkedin Scroll and you can see for yourself. I have already analysed the Foundation chart of India By the following articles already . Prime House since Sun is Placed in the 7th house and ill placed from 8th house and the 8th Lord Saturn. War, Battles,Terrorism, Open Warfare Enemies, Dacoits,Foreign Secret agents, International Affairs, Relation with other countries. People who violate the law,, Marriages and Divorces,Antisocial elements. Immorality in the Country, Foreign Trade and Relation. Rate of Infant Moralities may be on the increase it so seems . Agreements and Alliances will all face untoward situations . Longevity in the alliances will suffer.Since the Sun is placed in the 7th house the activities of the 7th house will be more prevelant. 7th house is also opponents and Sun and ketu Placed there. The opposition may not leave any stone unturned to damage the image of the Ruling Govt. 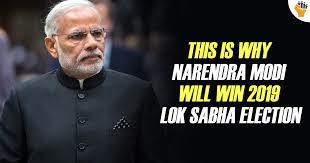 to gain in the Political Arena of Lok Sabha Elections of the 2019. Point no 18.From the above it becomes imperative that BJP Govt. Forms an Alliance with a Party led By a Women Politician indirectly even before the elections to come in power. It so seems. The Day is friday and the Lord is Venus well placed in the 4th house of Throne. There is also Exchange of Saturn the 8th Lord and the Lagna Lord Moon . This Exchange is not good But since the 8th 8th Lord is in Amrit Bhaga it may not attribute malefic Results, but shows the Struggles the Country will go through , Moon also has strong aspect of Mars the Yoga Karka. Moon in the Nakshatra of Rahu and Rahu Placed in the 11th house in the Nakshatra of Sun who is again in Vipreet Rajyoga, imparts strength. The Maha Dasha Lord in the Foundation chart is in the 8th house calls for attention and what ever is happening is indicated by the same , the Anter dasha Lord is placed well in the 5th house and aspects the Lagna by strong 9th aspect and the Transit Jupiter is also over the Jupiter in the 5th house. The worry is the 2nd Lord Sun under affliction by Mars and Saturn with Mars in the Lagna, But the saving is Both the Mars and Sun are in Virpeet rajyoga and Saturn in Amrit Bhaga , even if there is a Physical affliction to the 10th Lord there will be saving . 10th Lord is the head of the Country and any tyoe of Affliction will not be strong enough to damage him since the 9th Lord and the Karna Lord Protects him. Another Saving is the 3rd and the 12th Lord is in Amrit Bhaga with day Lord Venus in own sign. Lagna associated with Debilitated Planet and Lagna Lord Moon afflicted in the 8th house is a matter of Concern but in the house of a Planet Placed in the Lagna and Amrit Bhaga again saves the Native. The Maha Dasha Lords Moon-Jupiter of the Foundation chart are getting connected to 6th and the 8th then untoward happenings. Another Parameter which is of Concern is the Moon in the Rahu nakshayra Troublesome Period for the Country in Totality. The Navamsha rising is of Libra the 4th house of the Rashi Chart and Venus aspects the Lagna from the 7th house making it strong. In the Navamsha Chart Moon, Sun and the Mars the 10th Lord from Moon are together , hence shows the Win of the 10thLord and the Primeminister Ruling. We can see the Planetary positions after August 2018 have not been Conducive for the Country and the Primeminister. The 10th Lord Saturnin Amrit Bhaga of the Foundation chart shows the Ruling Primeminister may come back in power after lot of Strife and struggles and strong Venus placed in the Kendra in the 4th house of Throne and Venus aspecting the Lagna in the navamsha also points out influence of Female Politician on the Country in the running year. The Foundation chart Of India , Solar Ingress in Aries and the Vedic Progression chart Of India, Narendra Modi Chart all show Narendra Modi the Winner In Lok Sabha 2019 Elections undisputed . ← Will The Stock and Financial Markets Down Turn In March-Dec. 2019 ?